Declining per capita gas tax revenues erode a traditional revenue source for transportation. Washington’s state gas tax, at 49.4 cents per gallon, is the third highest in the nation, after Pennsylvania and California. Federal funding is growing unreliable, and there’s been no increase in the federal gas tax since 1993. Meanwhile, more than 60 percent of the State’s overall share of state gas tax revenues are pledged for debt service to pay off construction bonds. At the same time, misalignments and inefficiencies between available funding sources and project needs undercut local and state agencies’ ability to take care of the existing system while responding to emerging priorities with practical solutions. Constrained resources is a long-range issue; how to prioritize scarce resources is a near-term issue. Both are pressing challenges. Without stable, predictable revenue sources and close alignment between those revenues and project needs, it is impossible for the owners and operators of Washington’s transportation system to protect existing assets and services, much less to grow them in a sustainable, responsible manner. Deferring needed preservation and maintenance, as we’ve done for years, decreases infrastructure service life, increases taxpayer costs, and creates instability in the transportation system due to avoidable system failures. Bottlenecks and chokepoints cost the state’s businesses and residents in time and money. Retrofitting 20th century infrastructure to meet 21st century needs is delayed. The hard reality is that there has never been enough revenue to do everything we need and want our transportation system to do; we’ve always had to make hard choices. This may never have been truer than it is right now Strategic system expansion competes with essential system preservation. Multimodal and system efficiency projects vie for limited sources of funding. Local, regional, and state agencies all face the challenge of inadequate funds to cover basic preservation and maintenance, much less the retrofits and improvements our aging transportation system needs. That is why this plan reiterates the long- standing position of both the Transportation Commission and WSDOT that preservation and maintenance of the transportation system is our highest statewide transportation priority. It is smarter, cheaper, and safer to keep what we have in good repair than to rebuild it after it is worn out. As vehicles become more fuel efficient, the need for additional, sustainable revenue will become more important. Tolling is likely to continue to support major highway projects. Non-highway transportation needs can tap into innovative public-private partnerships. And as the gas tax also becomes a less reliable revenue source for county and city transportation, expect greater reliance on developer fees and new local funding options. Other potential funding options may involve user-based mechanisms, a new statewide carbon fee, or revenue-sharing opportunities. Our funding priorities and investments are out of synch. It’s essential that our funding processes reflect established priorities and practical approaches to improving mobility, to get the most value out of our existing revenues for the traveling public and industry. There’s a sense at state, regional, and local levels that existing resources can be optimized. As agencies embrace Practical Solutions, renew efforts to increase system efficiency and safety, and expand multimodal travel options, they’re relying on funding mechanisms that don’t flex in the same ways as do their mobility needs. Our buckets of money are earmarked for specific purposes that aren’t always the same as the priorities we face. Too often, capacity projects are funded while preservation and maintenance are deferred. Many jurisdictions are taking advantage of local taxing authority to raise new transportation revenues from various sources. Over 90 cities and counties are now using Transportation Benefit District funding mechanisms to augment the state and federal revenues that make up an ever-smaller share of funds for local projects. Transit agencies are asking for and receiving increased tax rates to expand services and programs. Impact fees and developer mitigation fees continue to generate revenues and improvements to accommodate new development in growing communities. We’re stretched thin, though, in most of our communities. Small communities generate very little revenue from local sources and don’t always garner public support for local tax measures, increasing challenges for coordinated planning with those who do. The Public Works Trust Fund, once a reliable revolving loan fund for local agencies, had its reimbursement funds and other revenues diverted to other purposes, for years, making it an uncertain proposition for local financing. Creating Flexible Funding for Diverse Transportation Needs. Short-changing investments in an integrated multimodal system increases pressures on over-burdened highway and roadway systems by not providing viable and cost- effective alternatives; it also puts those for whom driving is not an option at a greater disadvantage. Sustainable revenue sources must be identified for multimodal needs, just as they must be for streets, roads, bridges, highways, and ferries.  And if we under-invest in proven Transportation System Management and Operations (TSMO) strategies that increase system efficiency and safety, then we increase traveler costs and frustration, and inadvertently create demand for more costly capacity projects from less flexible funding sources. Funding something as important to our economy and overall quality of life as transportation shouldn’t be haphazard. We need a coherent approach to paying for transportation, one that provides reliable revenues for critical services and funds priorities that reflect the ongoing coordination and collaboration in place at local, regional, and state levels. Our system of paying for transportation isn’t very effective. That’s not just because the funds available to support infrastructure investments and on-going system operations are inadequate. 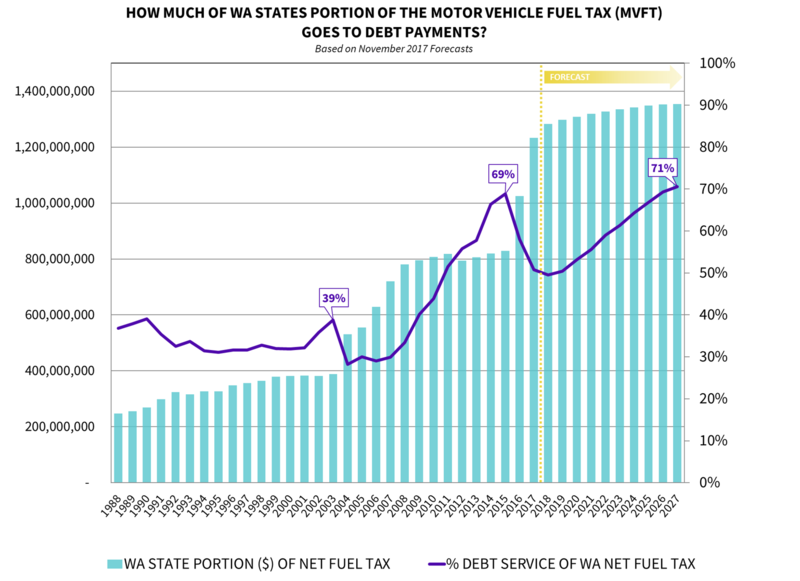 After limited system expansion in the 1980s-1990s, Washington began using debt to significantly expand the transportation system, borrowing against the future revenue stream generated by the 2003 and 2005 gas tax increases. Today, nearly half of every penny the state receives from gas tax is used to pay off bonds. Misalignments exist between existing revenues and their earmarked uses compared to what needs to be funded. For example, if preservation is a funding priority and there isn’t enough money to take care of the existing system, why is so much new revenue directed to capital expansion projects? Regional planning processes identify project priorities as required under GMA but often those priorities are not reflected in state revenue packages for new projects, especially if those regional priorities are not big highway projects, but preservation programs. Impact fees can only be used for capital construction and not on operational strategies to increase the effective system capacity through transit service or TSMO projects. Property tax caps constrain local revenue generation which reduces local funds that can be directed to transportation. Federal revenues allocated to priority regional needs through the MPO and RTPO funding programs often result in higher project delivery costs and longer project delivery time frames than if many of those same projects had been built with state or local funds.  This is compounded by the inability of many small or rural municipalities to accept and manage federal funds, or to even have a project that meets federal program eligibility requirements. Most state transportation revenue for the next decade is already programmed and committed, leaving little opportunity to pursue emerging innovative projects and partnerships at a time when we most need resources for innovation and technology improvements. Well over half of the State’s revenue over the next decade is going towards debt financing for prior projects.